I have a natural interest and passion about property which stemmed from a family connection in renovation and property investment. Although not compulsory I decided to qualify in Estate Agency very early in my Estate Agency career because I wanted the knowledge if I was to work in that industry. 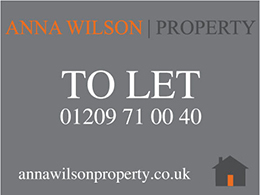 I went on to work for several Independent Estate Agents and finally ended up in a senior position, my main role being progressing sales from the point of offer to completion which I very much loved due to the challenge involved and diverse people I came into contact with. Throughout this time I built up a handful of my own properties which I let and managed up to date. After having a break to start a family from full time employment I decided that property is where I want to offer a service, a very good service and to be recognised for that. I had heard all the complaints related to main stream letting and property management agents from tenants and landlords over the years and know how to fill this gap and have the enthusiasm, range of property knowledge and determination to do just that. 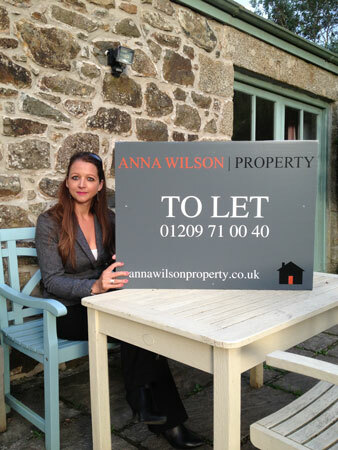 Letting Agents do not currently require any formal qualifications but I undertook the ARLA approved Award in Residential Letting and Property Management through the National Federation of Property Professionals and that is where my own management developed into offering the personal hands on service to other landlords through my company Anna Wilson Property. We are members of The Property Ombudsman and comply to their Code of Practice. We are also members of The Residential Landlords Association and registered with the Commissioner’s Office and Deposit Protection Service. We of course also carry Public Liability & Professional Indemnity Insurance. I would be delighted to provide free market appraisals to any interested landlords whether new to letting or experienced. Member agents must follow the The Property Ombudsman Letting Code of Practice. This sets out the framework within which member agents must operate and the standards of service they must provide for both tenants and landlords. The Code is compulsory and is rigorously applied in our complaints handling. The agent is required and has agreed to have Professional Indemnity Insurance to ensure that any compensation awarded to you can be paid. The agent is required and has agreed to have an in-house complaints system with written procedures; inform you how to refer any unresolved disputes to the Ombudsman and co-operate with any investigation by the Ombudsman. What can tenants and landlords expect from the TPO Scheme member agent? The TPO Letting Code of Practice requires agents to meet all their legal obligations when acting as letting agents, but it goes above and beyond that by requiring the agents to adopt and follow ‘best practice’. See the TPO Website for further details.